We are here to help you make the best of your health. We encourage you to join in decisions about your healthcare as far as possible. 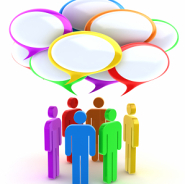 We also value your views about the service we offer and invite comments and constructive criticism. The more we understand about what you would like and the more we can tell you about developments and constraints in the health service, the better we can work together. We have a patient participation group which meets regularly to offer views and suggestions and represent you to us. We can then use these ideas to improve our services. This year the government has made involving our patients a priority. We will draw up plans for improvements and report progress to all our patients. We are recruiting new members, why not come along to a meeting and see what you think? We are happy for anyone to volunteer to join, and to run the group. The meetings have been held in the early afternoons recently, but we have now decided to hold them in evenings allowing more people to attend. They are attended by the practice manager and one of the partners.